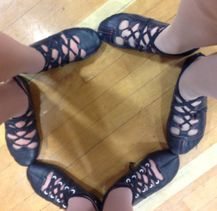 At Tara's School Of Highland Dance, we are focused on providing a fun and supportive environment for all dancers. We offer many traditional highland classes, and also a choreography team. While we are a mainly recreational studio, we do have competitive students who succeed with training at the studio but also hard work and dedication. We participate in yearly exams through the BATD, and also in local performances.